Coil Manufacturing, Inc. (CMI) began its operations on May 6, 1993 founded by President Randy Rutter and Vice President Wendell Herrington. Rutter was previously with General Electric and ABB for 22 years, while Herrington was with Cleveland Electric Coil (ABB) for 24 years. CMI started with six employees in 1993. 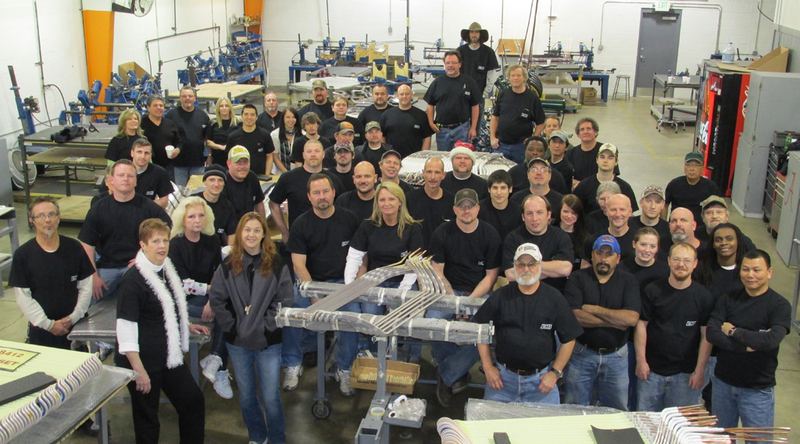 Today we employ over eighty employees with more than 850 years combined experience in manufacturing coils. Our 32,000 square foot facility is strategically located in Birmingham, Alabama, just 15 minutes from the airport. Our AC Department has manufactured stator coils up to 15,000 HP and 7,200 volts. Our DC Department has manufactured 4,000 HP fields and has produced many large AC Synchronous Field Coils, large Rotor bars, and large DC armature coils. CMI currently has a customer base of over 500 repair shops throughout the United States, Canada, and Central America. We are an ISO 9001:2008 certified facility and have been audited and approved by such companies as GE, Siemens Westinghouse, Georgia Power, Alabama Power, and Southern California Edison, just to name a few. CMI has built beneficial relationships with insulation and wire vendors such as EIS, Von Roll Austral, Essex Brownell, and Electrolock. CMI’s mission is to provide the apparatus repair industry with the highest quality, and most responsive form coil service available.